The French have their foie gras, oysters and truffles. But what about the Poles? What does Poland have to offer gourmets? Culture.pl presents a selection of some of Poland’s most exclusive food products. Poland and caviar in one sentence? Unthinkable? And yet! Although caviar does not feature on the list of Polish national delicacies, it was often mentioned in Polish cookbooks from centuries ago. The entries included recipes, but also advice on its production. Today, this aristocrats’ favourite is also produced in Poland – in the pristine lands of the Warmia region to be precise. Warmia boasts the reputation of ‘the country’s green lungs’. 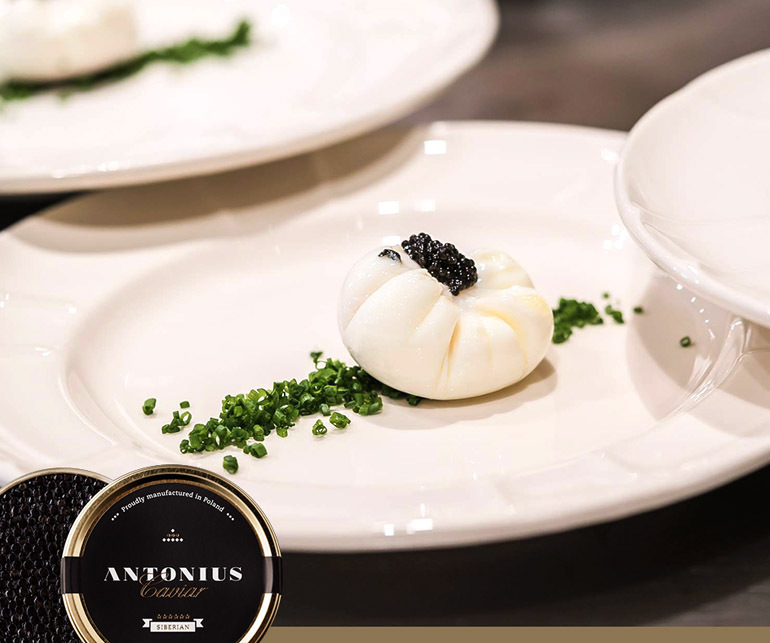 Antonius Caviar produces fresh, unpasteurised high-quality caviar, from two kinds of sturgeon: Russian and Siberian. What’s so special about it? It is produced using the traditional Russian method called ‘malossol’ in which a pinch of salt is added. The selection of aquafarms where female sturgeons are bred is very strict. It takes seven years for the fish to reach the right age, however, roe can also be gathered from females aged 8 to 10. Siberian sturgeon caviar has a distinctive aroma with colour shades ranging from black to light brown. The most valued variety – six-stars – is made of roe from the oldest females, which is typically the biggest in diameter. Russian sturgeon caviar is an upscale product, compared in price with world’s most expensive variety – beluga caviar. A hazelnut note is discernible in its taste, while its colours range from grey, brown and olive. Another rare variety of caviar, snail caviar, is also produced in Poland. It comes from the species helix aspersa, bred on snail farms which are gaining in popularity in Poland. 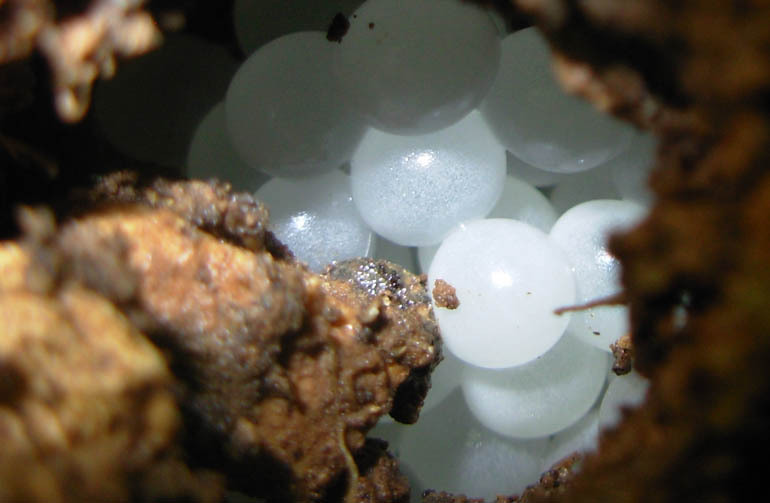 A snail lays up to 100 eggs per year, which is equivalent to 5 grams. It is essential that each snail egg is gathered (their diameter is no more than 3-4 mm) with utmost gentleness and precision. To make a kilogramme of snail caviar it takes 26,000 eggs. Their colour and structure are of great importance – the best caviar is made with eggs that are white and silky in structure. Once the eggs are harvested, they need to be sorted, cleaned, washed and placed in a special brine, where their flavour enhances. All of this is done by hand, which explains the exorbitant price – it can up to several thousand złoty per kilogramme (£1,500 give or take). But what does it taste like? Connoisseurs assert that it's a combination of the tastes of rain, the forest and mushrooms. Snail caviar can be served with vodka, main courses, entrées or even desserts, for instance with chocolate. Not only does it taste exquisite, but also it is rich in protein, phospholipids, minerals, phosphorus, zinc, magnesium, calcium, silicon and iodine, not to mention vitamins A, D & E and unsaturated fatty acids. 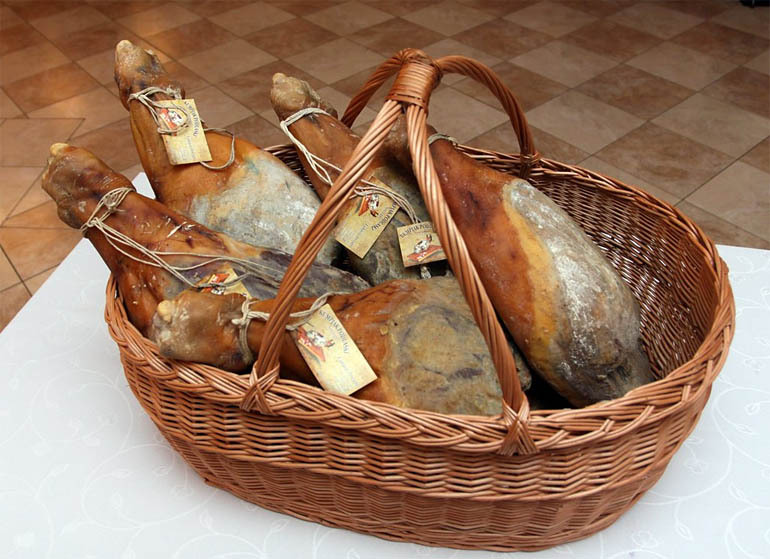 Dylewska ham beats Serrano ham when it comes to aroma? That's right! Poland may not be associated with high-quality maturing charcuterie, but it's time to bust that myth, as you can stumble upon true culinary gems here. Gems boasting a long tradition, one must add. This award-winning, extraordinary ham is listed as a ‘Traditional Product' by the Polish Ministry of Agriculture and Rural Development. So how is it made? First, it is soaked in a mixture of brine and herbs. Then it's dried, and finally cold smoked on wood from fruit tress and matured. The maturing process takes a year. Dylewska ham is famous for its sophisticated flavour; some dare claim it outshines the Spanish Serrano. For 4 to 6 weeks, the hams can soak in salt, appropriately to their size, then take them out, dry outdoors for 24 hours, and hang in the smoking chamber for a week’s time. The smoked hams should be hung in a dry, airy and shady spot. For every two pounds of salt used, also sprinkle the hams with a quarter pound of powdery sugar. That shall make them exceptionally crumbly. Pack the meat tightly and cover it with a lid, lay rocks on it and leave for two days somewhere that is not too cool so that the salt will dissolve properly. Then off to the cellar, or, in the summer, to the icehouse, if one has such one. Every seven days, at least, have a look, turn the hams over, and make sure the salty sauce covers all the pieces. Otherwise, shuffle them around – put the ones from the bottom on top and so forth, and do so frequently. Kumpiak podlaski, or the Podlasie kumpiak, on the other hand, is a salted ham, which is dried outdoors and comes from the Podlasie region. It has been produced there for ages, always in compliance with natural methods and never smoked. Its unique taste is attributed to the natural maturing process and to the high-quality meat used: the animals must be traditionally fed. The raw meat is rubbed with garlic, juniper, herbs and pepper. Then it is placed in a wooden barrel or trunk where it stays for two weeks. Subsequently, it is taken out of the salt solution and is hung to dry. Salting pulls water from the meat and stabilises its bacterial flora. The maturing process takes from six months up to a year. It is then that the kumpiak dries, hardens and acquires its rich aroma and taste, while covered in fragrant herbs. Interestingly, in Podlasie, this method was applied to hams but also to other kinds of meat, sausages, bacon and cheese, such as the Polish variety of quark – twaróg. Traditionally, it was stored in attics in willow baskets. As reads the Ministry of Agriculture’s official description: ‘attics afforded a unique microclimate allowing for the products to be stored long-term: winters were dry and draughty there, while it was chilly in the summer’. This meant hams could be stored for months if not years, all the while keeping their unique taste and nutritional values. But when does it taste best? Cut into paper-thin slices, served with a piece of black country bread. Starka is a traditional rye vodka that Poland used to be famous for. The older it gets, the better it is (and, unsurprisingly, more expensive). A 50-year-old bottle can cost several thousand złotys. And that is assuming that you can get your hands on it – it is arguably the only Polish liquor that one has to sign up for. Whenever it is released, the prices soar up to 1000 złoty a bottle. Starka has been around for hundreds of years. It was traditionally served during weddings, prepared especially for those joyful occasions. Tradition has it that when a son was born into a noble family, an oak barrel filled with alcohol was buried in the ground where it stayed up until the young gentleman's wedding day. Only then was it was ready to be served. Today, Starka is manufactured by the Szczecińska Fabryka Wódek STARKA, where it is produced without rectification. Seasoned with linden tree or apple tree leaves, it matures in oak barrels for at least ten years – this is how Starka gets its unique bouquet, colour and taste. 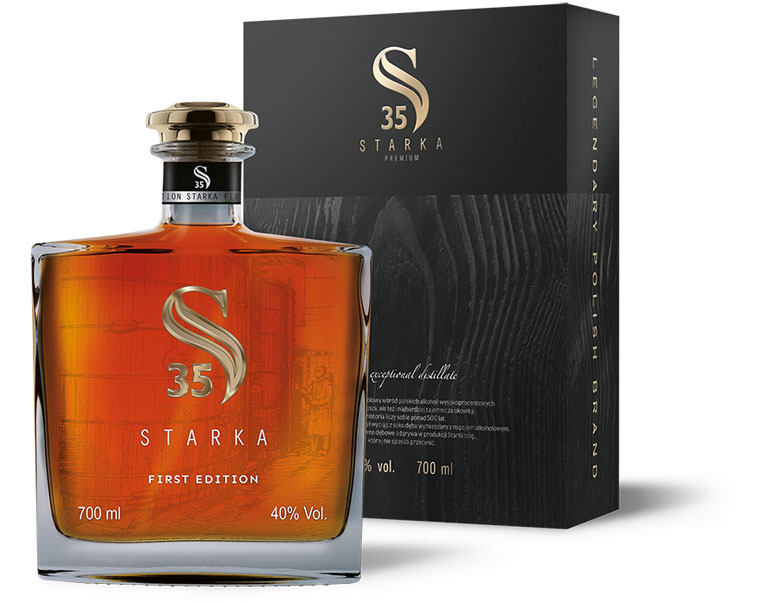 The production process, similar to that of whiskey or cognac, is supervised by qualified professionals and technologists as even the slightest change in temperature or humidity can impair Starka's quality. Both clarifying methods, as well as the list of ingredients of this fine liquor, are kept secret. Wyborowa may be the most esteemed Polish vodka, but Młody Ziemniak vodka (English: Young Potato) is a collector's item. It is a regional product, made in the Krzesk distillery, located between the Mazovia and Lublin provinces. Młody Ziemniak vodka is, as the name suggests, made from young potato tubers. They are all from a single variety of potato, all harvested at the same time in the immaculate fields of the Podlasie region. Alongside the time and the place the crop came from, the label also boasts a signature of the production supervisor, which gives the vodka its exclusive status. The vodka is distilled once, resulting in a range of different flavours. 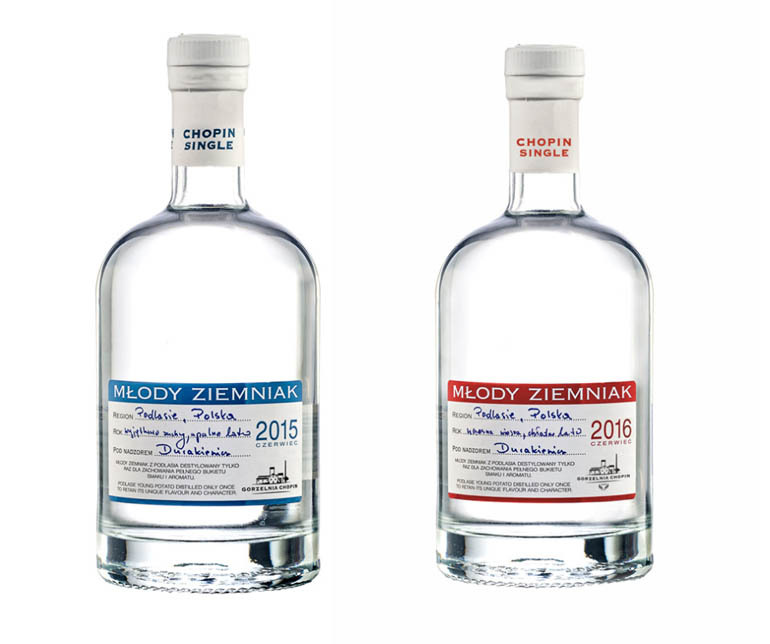 The Młody Ziemniak manufacturer is most well-known for its high-quality Chopin vodka. As it is in the case of wine, the flavour of the final product depends on the unique terroir of Podlasie. A somewhat orange-tasting wine, which explores new horizons of flavour, with discernable tangerine essences, a warm sunset above Wisła’s hills, an end of an apricot summer, a spicy memory of trips to the East. 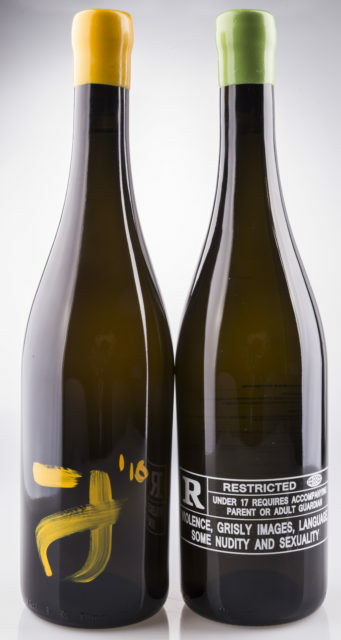 Its perfectly mature and has the invigorating acidity of a shower under a waterfall but nonetheless elegant. Without a trace of chemical notes or oxidation. Located in the Vistula River Gorge of Lesser Poland (Małopolski Przełom Wisły), the Dom Bliskowice vineyard is one of the country’s top wine manufacturers. It offers hybrid grape varieties that are typical for Poland: Regenta, Rondo or Cabernet Cortis. It is the white variety, Johanniter, however, that produces the most impressive wine.